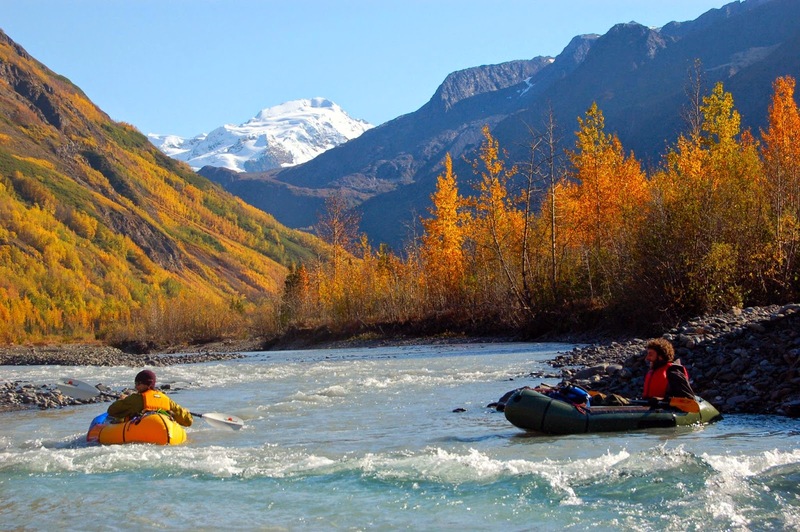 We have 1-person all-purpose, 2-person, and specialty packrafts. You can also rent maps, paddles and life jackets, sails, special seats, and shelters. A packraft is a light inflatable boat that can be carried on your back and yet is durable enough for backcountry rivers and creeks. Need more help? We’ve got plenty of resources to get you started. Seeing the South Fork of the Flathead River for the first time in 2011, was really where the idea of starting a packraft rental company began. We had camped at the confluence that forms the South Fork and as we ate fish tacos and smoked pipes, we pondered what might lie down-river. Unfortunately we could only be gone for four days that trip, so instead of finding out, we had to head back the next morning. As we hiked, we kept trying to think of a way we could go the length of the South Fork in a week and still have plenty of time for fishing and off-trail exploration. Of course rafting occurred to us, but at that point we thought rafting required horses to pack in. Even for a Montana ranch kid, horses exponentially complicated the logistics and costs involved.